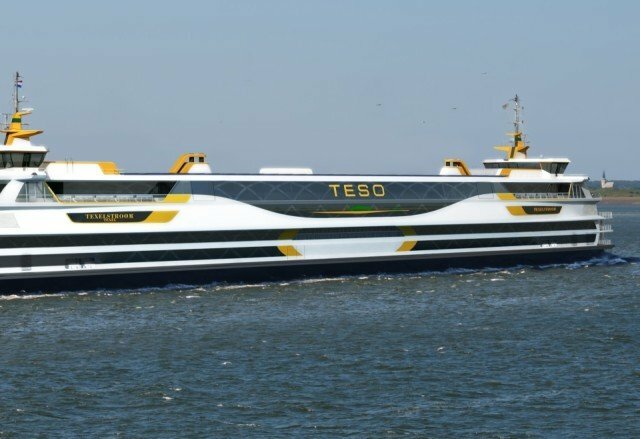 One of the most visually impressive, and environmentally friendly, new passenger ships that will enter service this year is the 135m long, 1,750-passenger capacity, double-ended ro-ro ferry, Texelstroom. Built in Spain at La Naval shipyard, the vessel will be operated by Koninklijke NV Texels Eigen Stoomboot Onderneming (TESO) to provide regular services between Den Helder and the Dutch island of Texel. 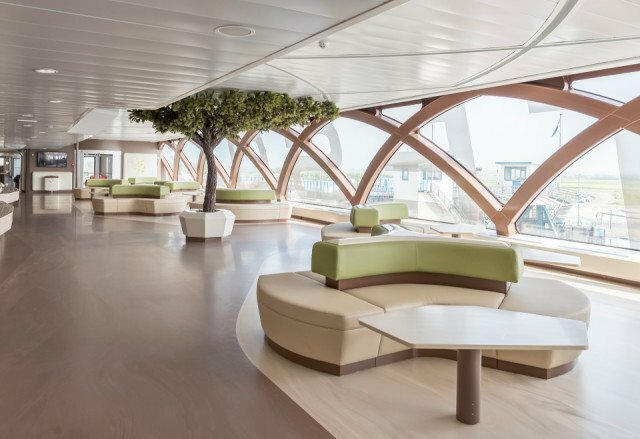 The design of the ferry is the result of a partnership between the naval architects, C-Job, and Design Studio Vripack, which was responsible for the interior arrangements. 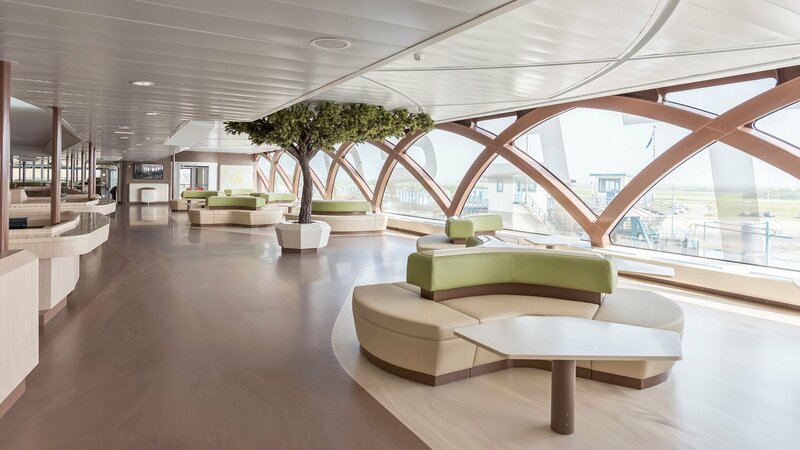 In developing its distinctive design for the new ship, Vripack has aimed to bring the ‘island experience’ of life on Texel onboard the ferry, by drawing on the inspiration provided by the characteristics and features of the island itself. 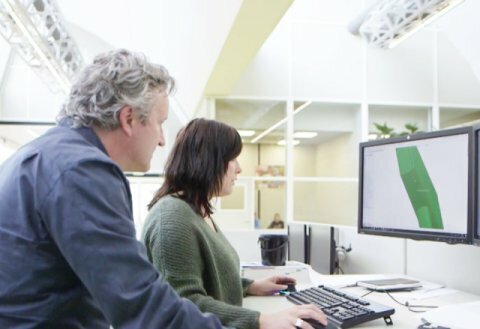 Vripack’s design team carried out intensive research, undertaking many visits to the island, and having lengthy conversations with the islanders, to make sure the interior design captured the essence of Texel. 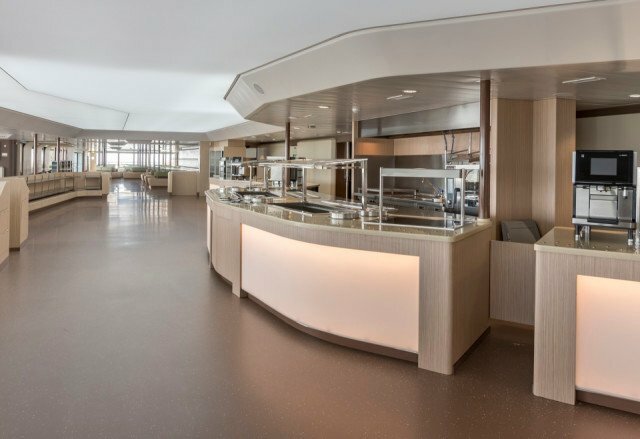 This was a challenging assignment and for assistance in delivering its grand vision Vripack turned to long-standing collaborator, Bolidt, which has supplied a significant amount of flooring and decking for this new ferry. 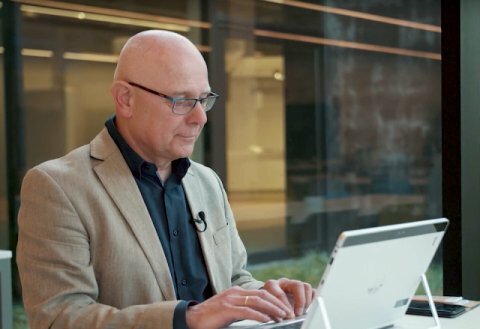 Indeed, in total almost 9,000m2 of Bolideck® systems have been installed onboard in various parts of the vessel. 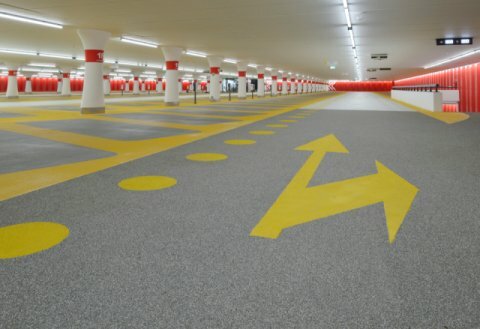 Around 1200m2 of Bolideck® 525 has been installed in interior areas, such as the hallways and wet spaces onboard. In some rooms, an extra-rough version of the product was applied. 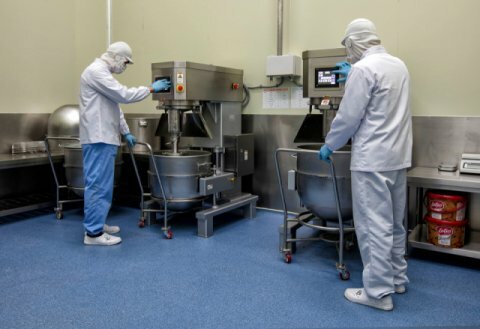 Furthermore, the Saloon deck areas feature approximately 1600m2 of Bolideck® FiftyFifty, with a special variant of this product being developed by Bolidt specifically to meet Vripack’s design brief. This was to come up with a surface that gives passengers the impression of running water and wet and dry sand. Bolideck® Fifty Fifty is a flooring system whose subtlety is achieved through a combination of two closely related colours. The viscous-elastic system is comfortable to walk on and reduces contact noise. 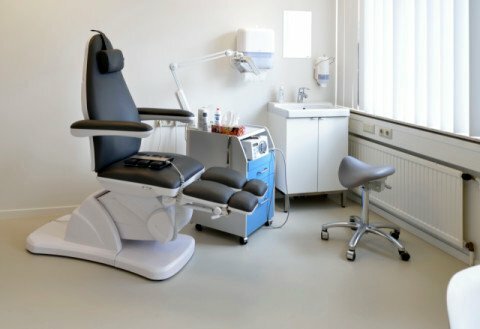 Vripack designer, Joost Mertens, employed shades of dark and light brown in 80/20 and 90/10 ratios, working with Bolidt to create a floor which truly resembles the wet and dry sand around the Frisian islands. Vripack wanted to convey images of running water and sand throughout the vessel, with the colour scheme mirroring the effect of water on sand. So the lower in the boat, the darker the sand colour becomes; while on the upper decks the colours are lighter. 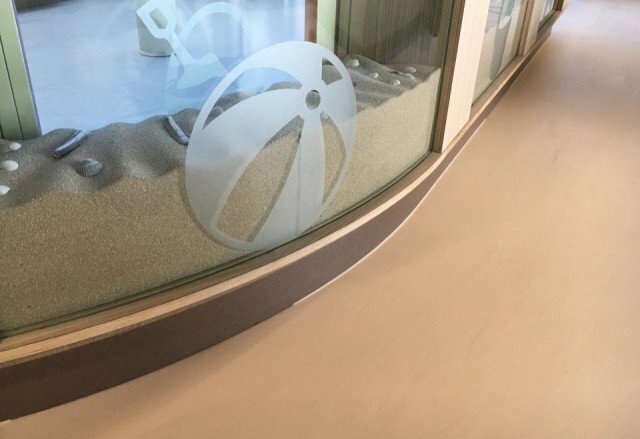 Vripack needed not just a variety of colours, but also a flooring that was able to convey the realistic look and feel of sand and sea. 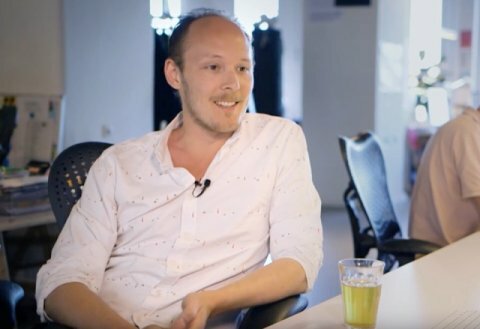 “The flakes in this flooring, the shapes and patterns that were possible, as well as the colours achieved, made it an excellent solution for this design,” says Joost Mertens. 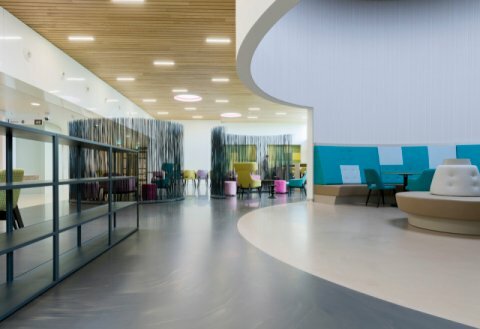 Bolideck® Fifty Fifty is a modern and comfortable flooring system that livens up a space through the combination of two closely related colours. This viscous-elastic system is scratch- and wear-resistant. 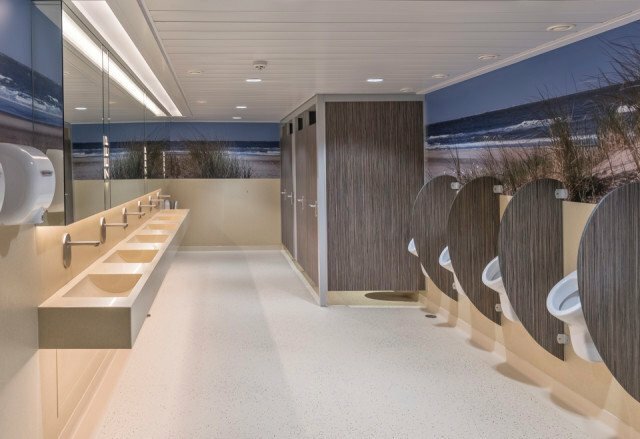 While Bolidt was actively involved in the interior lay-out of the new ferry, it also supplied materials for the passenger car decks onboard, which can accommodate up to 350 vehicles. 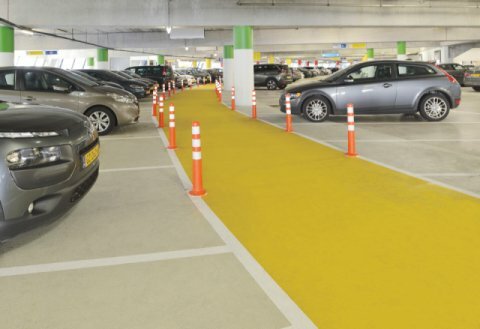 In this case, around 6,000m2 of the Boligrip® 1250 system was used on the car decks. This is a hardwearing material that is able to resist the impact of cars driving on and off the decks, braking and accelerating. As well as being visually striking, Texelstroom is very environmentally friendly, with a dual fuel propulsion system that uses both compressed natural gas (CNG) and battery power. In addition, there are more than 460 solar panels onboard.